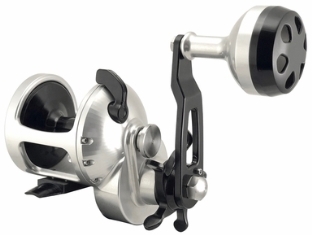 The company Accurate previously introduced twin drags on reels, named TwinStarDrag. “By putting stainless steel and carbon fiber washers on each side of the main gear, rather than a stack of washers on one side, anglers … experience an unmatched smooth payout of drag,” literature says from Accurate. You wouldn’t drive a car with brakes on one side, would you? Previously, Accurates’s casting reels only had lever drags. But anglers probably fish with star-drag casting reels, a lighter-duty reel, more often. The Tern is Accurate’s first star-drag reel, and includes TwinStarDrag. It’s perfect for anglers who want the lightest, smoothest StarDrag experience, Accurate says. The reel, made to fit ergonomically in the hand, is available in six sizes for 30- to 50-pound braided line. For details, visit Accurate’s website.